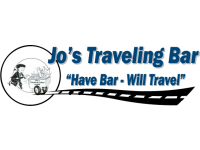 Mobile Bar and Full Service Catering! wedding--All details are taken care of. It is so easy - no bottles of liquor, mix, or juice to buy, haul and set up--we bring it. You will find our service and quality to be the finest available in the Treasure Valley.